Criminal Lawyers Can Help Defend Your Ontario Fraud Charges! There are many kinds of fraud covered by the Criminal Code. The basic offence of fraud is in section 380 which basically states that fraud is committed when anyone “who, by deceit, falsehood or other fraudulent means . . . defrauds the public or any person . . . of any property, money or valuable security or any service.” In other words, it is fraud when someone tricks a person or the larger public, out of some kind of property. Property can be any number of things. For example, it could be money, an item, land, a service or shares in a company. For it to be fraud you must have known that what you were doing was tricking someone out of something. Or, that your trickery could have caused someone to lose something. It is fraud even if you didn’t actually appreciate that you were being dishonest. Even just attempting to defraud can get you charged. Even if you never got your hands on the property, you could still be convicted of fraud if the victim was deprived of the property because of your dishonest acts. Among other things, fraud can cover someone who with the intent to defraud affects the market price of stocks, shares, merchandise or anything that is offered for sale to the public. The recent news about the stock Sino-Forest and Bre-X are examples of possible frauds. If the fraud is for over $5000 then the offence is indictable. (Indictable offences are the more serious ones and have the more severe penalties. Summary conviction offences are the less serious ones and have the less severe penalties.) If the fraud is for under $5000, then it is up to the Crown to decide whether to treat the charge as an indictable offence or as a summary conviction offence. If the Crown proceeds by summary conviction, the maximum penalty for fraud is six months in jail. If the Crown elects to proceed by indictment, then the maximum penalty is two years where the amount defrauded is not more than $5000 and a maximum penalty of 14 years where the amount is more than $5000. 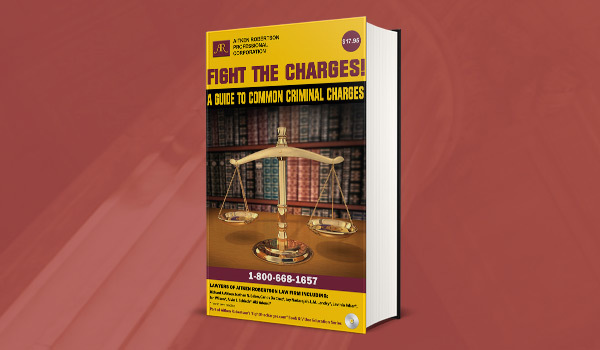 Fight Your Ontario fraud charges! Call our lawyers at 1-800-668-1657 or visit one of our offices to get a free 30-min consultation.